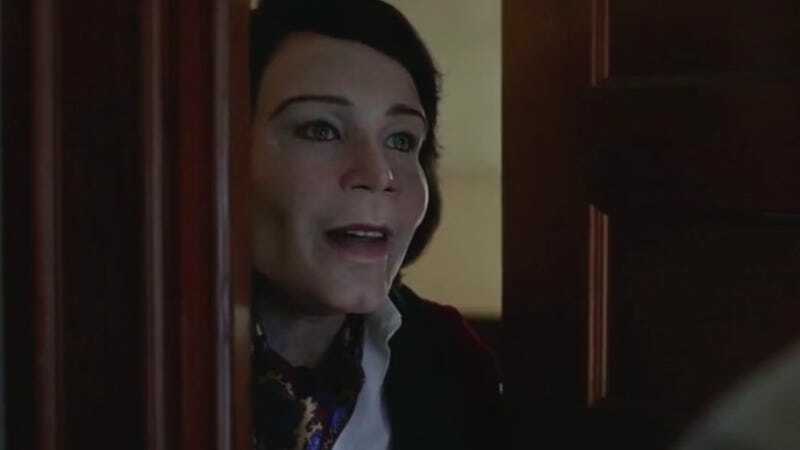 Atlanta hit a high-water mark with last week’s “Teddy Perkins,” an eerie and riveting episode whose 40-plus-minute runtime—the longest in the series to date—was allowed to unfold without commercial interruption. The introduction to the episode, directed by Atlanta stalwart Hiro Murai, couldn’t have prepared viewers for the psychological horror that was to come. Centering the story around Darius (Lakeith Stanfield), whom the synopsis told us was “trippin’,” suggested another lighthearted adventure in the vein of “Barbershop.” Instead, Donald Glover and his co-star took us on a disturbing exploration of abusive stage-parents and the psychological toll of fame, as well as a reminder that there’s no such thing as a free ostrich-egg lunch. We strongly suggest you watch the episode, and not just so you can see an ersatz sequel (or spin-off) to Get Out. Though Glover appears as Earn in only a handful of scenes, he’s actually onscreen for much of the episode. The actor-writer-Grammy-winner is behind the unsettling portrayal of Teddy Perkins (no matter what the closing credits say), a man twisted by his musical accomplishments—or, depending on your prevailing theory—his vicarious pursuit of them. (We’ve watched the episode a couple of times now, and are still trying to decide if there was ever a brother.) Glover was so committed to this possible interpretation of Joe or Michael Jackson, that he remained in character during the days-long shoot. To get a sense of what it was like to act opposite Glover—sorry, Teddy—Vulture spoke with Derrick Haywood, who played Benny Hope, Teddy’s wheelchair-bound brother (or was he?). Haywood admits he had no idea Glover was playing Teddy, despite having been a part of the show’s first season. The entire crew pitched in by referring to the Community alum by his character’s name throughout filming. Haywood was also kept separate for much of the production, though he tells Vulture that even seeing Glover-as-Teddy interact with his collaborator Stanfield, neither one gave any indication that they already knew each other, let alone were friends. It was night and day. It was exactly what you’d expect it to be if you saw a young African-American man and an older white male on set. The first time I filmed on Atlanta, [Donald] was in the room chatting with us. Just normal conversations between normal people. But this time, he was consistently walking around as “Teddy,” not Donald. He had security and everything! I remember when I Googled “Teddy Perkins,” a wrestler came up, but I didn’t think it was this guy. Lakeith and Donald have some interaction, though, it was just minimal. It was nothing like season one. Glover remained in character even when instructing Haywood on how Benny’s mannerisms; he made his suggestions in the same high-pitched voice that set the ominous tone for the episode. Before I even found out it was him, one of the assistants on set told me to go and talk to “Teddy” and ask him for some direction about Benny’s mannerisms. So he’s sitting on the couch and I’m like, “Uh, Teddy, how you doing?” That conversation was quite weird. Again, I didn’t know the guy. I was introduced to him the night before at the fitting, but I didn’t know it was Donald. And obviously, he didn’t want you to know. The interview’s a great read, but you’re still trying to map out this particular branch of the Perkins family tree, you won’t find much help there. At one point, Murai described Benny as Teddy’s musician brother who’s afflicted with a mysterious skin disease, but after watching the episode, even Haywood doubts the existence of his character. Honestly, after seeing the episode, I’m like: Is Teddy even a real person? Or he is a figment of Benny’s imagination? I didn’t know what was going on as I watched it. I thought they were brothers, like I was told. But as I watched it and saw the story about fathers that pushed their sons to be great even if they do it at the expense of the child’s livelihood … honestly, it’s hard to explain. There was no doubt in my mind that this story came from somewhere deep. I’m wowed by Donald’s creativity. Obviously, he knows what the people want. And I was a little skeptical of how people would respond to it. Even when we were filming it, I wasn’t sure how these scenes I was in were gonna play out.